What Do Quarterly Earnings Mean for Stocks? Companies often report earnings before or after the stock market opens. 1. How Do Profits Reflect Stock Prices? Stock prices are often extremely sensitive to quarterly earnings results. If a company surpasses the expectations of Wall Street analysts, investors are likely to celebrate the stock by purchasing shares. When results are disappointing, however, shares are likely to come under pressure and lose value. Company executives often attempt to prepare investors for forthcoming quarterly earnings results by offering some guidance to avoid major surprises. Analysts similarly offer earnings forecasts. Investors are often keen to compare actual results with estimates to gauge a company's performance. When a company reports quarterly earnings, it is giving a glimpse into its financial performance from the most recent three-month period. 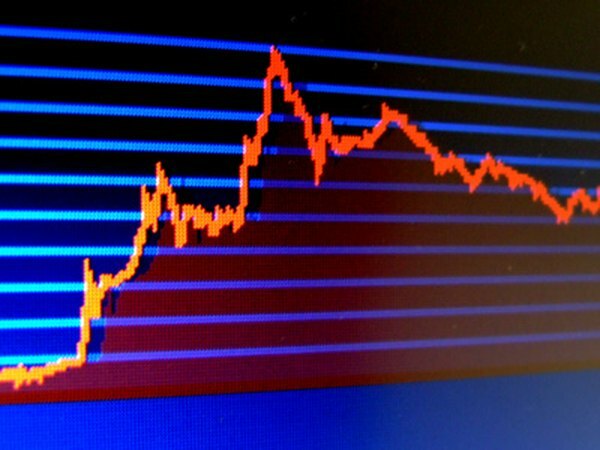 Investors often use these results to determine whether to buy or sell a stock. If the company has shown strong profit growth from the previous year -- and exceeded the expectations of company executives and analysts -- investors often see this as an opportunity to share in the company's success by buying its stock. The reverse is also true. When quarterly earnings results disappoint, investors might take this as a warning sign that the company is not performing up to par. In the event that a company's profit results come in below expectations, it could create a buying opportunity for the company. Just because investors may decide to sell shares after an earnings disappointment doesn't mean the stock is not a good investment over the long term. If there was a one-time event that hurt profits in a quarter -- such as natural disaster that disrupted the normal business cycle -- financial results might suffer in the short term. But as long as the company's fundamentals and market outlook remain strong, its stock price should rebound over the longer term. There is often euphoria surrounding shares of a company when that company surpasses quarterly earnings expectations by a wide margin. When the stock price shoots much higher, investors in the company might decide to sell some of their shares in the stock as a way of taking profits. The rationale might be that after the stock advances in response to earnings, it does not have much more room or reason to increase, at least for the foreseeable future. There are times when investors surprise company executives -- both to the upside and to the downside -- by the way they respond to profit results. In some cases investors have decided to ignore results due to other considerations, such as economic or political developments. For example, if a company surpasses quarterly earnings expectations -- but operates in an industry that is losing ground to newer technologies -- investors might not be that eager to buy shares of the company even though it performed well. Similarly, if a company falls short of expectations, but recently entered a new market that is primed for long-term growth, investors might decide to buy shares even though the company's quarterly results were disappointing. How Does the Expected Return Affect a Stock Price? How Does a Company's Stock Increase in Price? What Do Stock Prices Represent? Do Stock Prices Increase Before Dividends Are Declared?